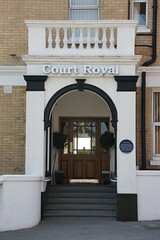 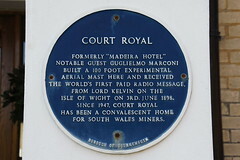 Court Royal formerly "Madeira Hotel". 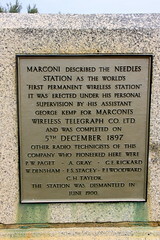 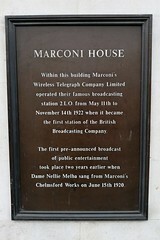 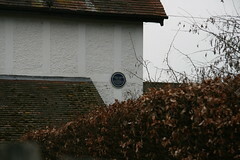 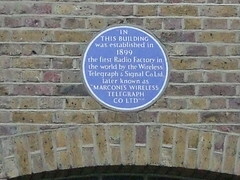 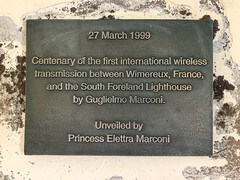 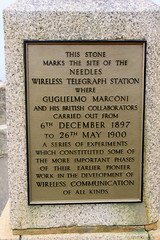 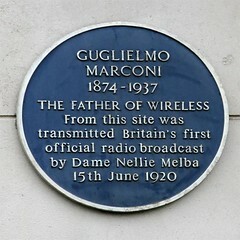 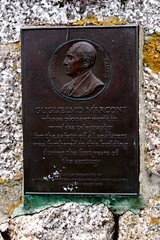 Notable guest Guglielmo Marconi built 100 foot experimental aerial mast here and received the world's first paid radio message from Lord Kelvin on the Isle of Wight on the 3rd June 1898. 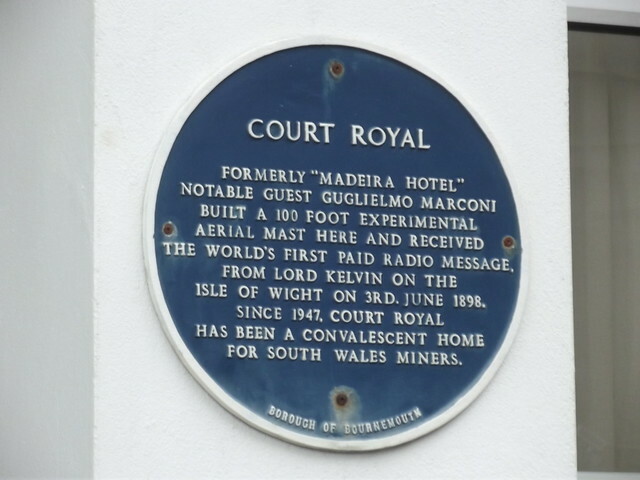 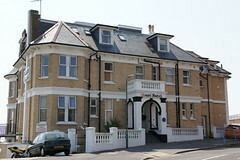 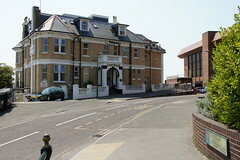 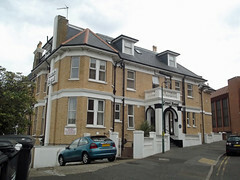 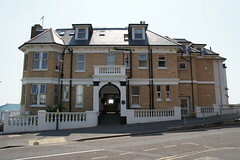 Since 1947, Court Royal, has been a convalescent home for South Wales miners.